This exhibit will be up at the Manayunk Roxborough Art Center (MRAC) located at 419 Green Lane (rear), Philadelphia, PA 19128. The opening reception is on Sunday, Oct. 7 from 12pm to 3pm. The gallery will then be open Saturday and Sunday Oct. 13 and 14 from 11am to 3pm. In November, the exhibit will move to the RoxArt Gallery, located at 6111 Ridge Avenue, with an opening reception on Nov. 2 from 5pm to 7pm and weekday hours from 10am to 6pm. 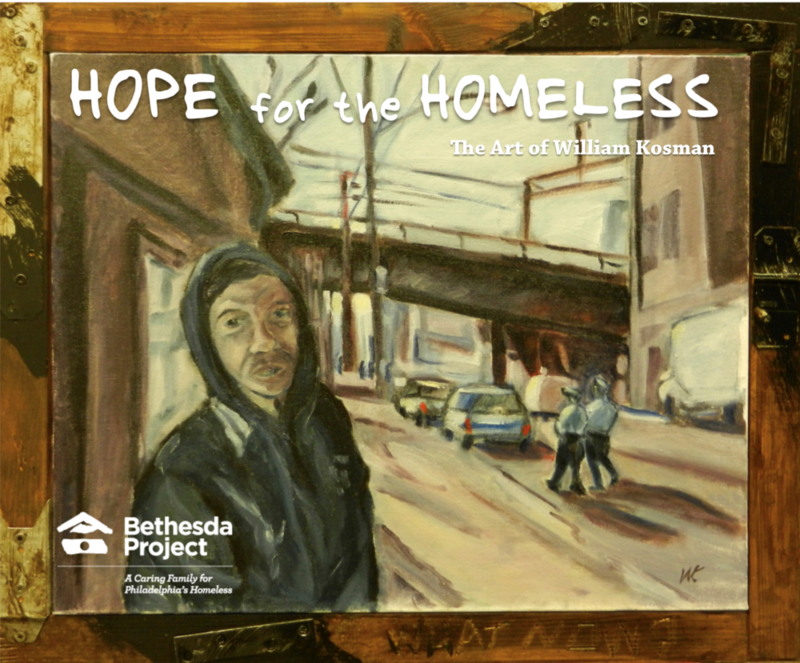 Kosman will contribute all his proceeds from the exhibit to Bethesda Project, a Philadelphia homeless services nonprofit that has provided support, shelter and housing for thousands of individuals experiencing homelessness since 1979. In the past, Kosman has donated paintings to raise money for the Alliance Francaise of Philadelphia, the French International School of Philadelphia, and the North City Congress. The contribution to the North City Congress also included the works of seven other artists, in a program sponsored by the Philadelphia Sketch Club. For the most part, Kosman’s brightly-colored oils on canvas represent the streets and people of Philadelphia, and the fields, roadways and beaches of Normandy. The “Hope for the Homeless” exhibit also includes several large works from his “Hope at K and A” (Kensington and Allegheny) series. About the Manayunk Roxborough Art Center: Our mission is to develop an appreciation of the arts, literary expression and related cultural endeavors. We are committed to revealing and fostering the visual, spoken and performance arts in both the local and regional communities. Our goal is to provide a meeting place for the artistic community and to connect those engaged in creative endeavors with one another and the general public. Our vision statement is, ‘Artists bringing people together.” The Manayunk Roxborough Art Center is supported in part by a grant from the Philadelphia cultural fund.